Music is a powerful change agent - it's the soundtrack to our lives, to our culture, and to the growth and change in the church over the years. This new collection of music honours the songs that have risen to the forefront in the changes that the Church has experienced. Complete with detailed liner notes about each song, written by CCM historian John J. Thompson, the stories behind the songs celebrate God's life-changing work around the world. 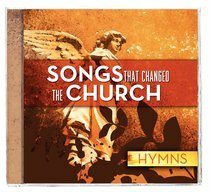 About "Songs That Changed the Church: Hymns"